Selection of energy-efficient aluminium windows is just the beginning of our way! Now the purchased products must be properly fitted to do the work and help us in saving on heating and air-conditioning costs. Correct fitting counteracts against moistness of insulation and construction materials. It is worth to ask an Authorised Fitter at Oknaaluminiowe.pl chain for advice on selecting best fitting method. The greatest disadvantage of traditional fitting method of windows and doors is creating thermal bridges that cause thermal losses and moisture hazard where the window touches the wall. To eliminate those serious problems it's worth to go for a layered fitting technique. The crux of warm fitting is setting the window not directly into the wall, but into a layer of insulation. This technique is used in case of two- or three-layer wall. 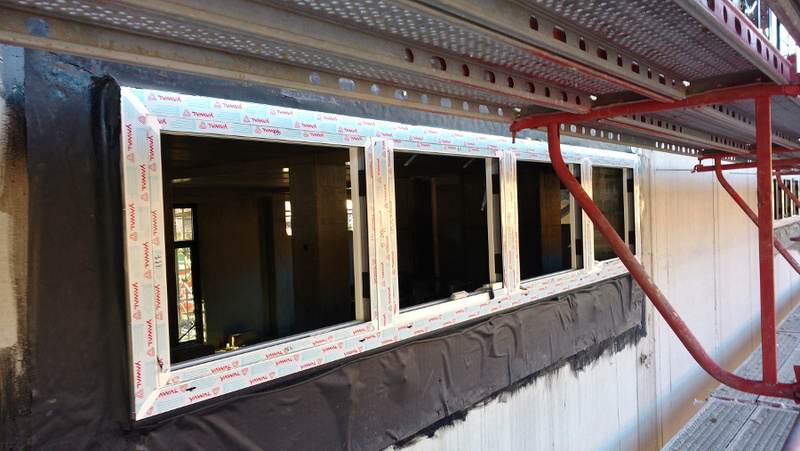 With layer fitting it is crucial to build an appropriate scaffolding structure that will support our window. Such a structure is composed of metal elements screwed to the wall at the base of window opening, the so called main supports or heavy load consoles and side supports. The distance between supports and corners and supports and mullions should be app. 15 cm. The maximal allowable distance between anchors is 70 cm. The heavy load consolesare mounted inside the window opening or on the face of the wall, and the side supports are located at the top and on the sides of the window opening. The heavy load consolesare connected with the window profile by means of special screws. The type of anchors and the method of assembly are specified in the designing documentation containing fitting plan with regard to the weight of the window, the material of the wall and the distance of protrusion of the window from the wall. The Authorised Fitters of the oknaalumionwe.pl programme use only materials produced by renowned companies, among others anchors and fixing items by fischer. The technique of warm fitting uses three layers of insulation. A foil or tape with water vapour permeability properties that allows for diffusion of water vapour but protects against adverse effects of precipitation. The middle layer functions as thermal insulation and is made of polyurethane foam. 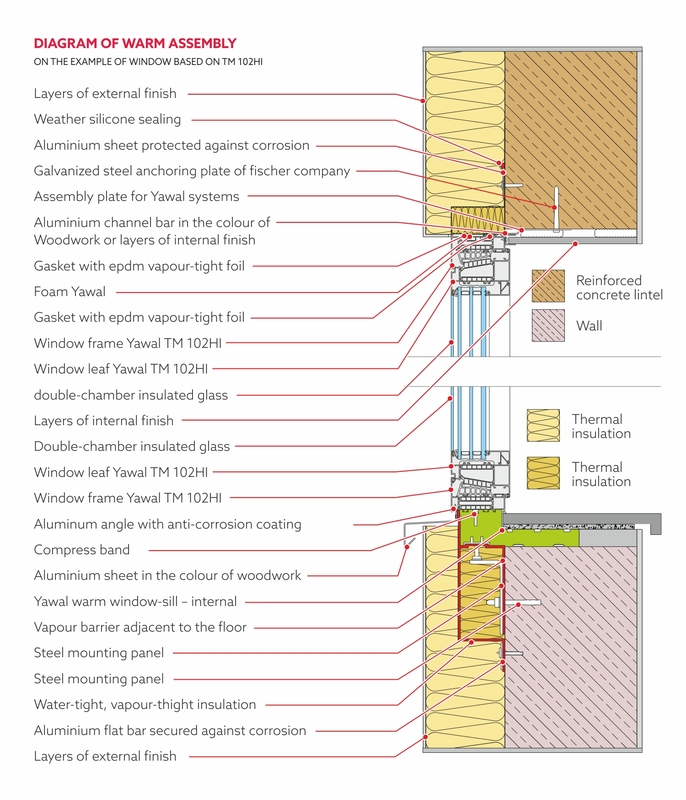 The internal layer is made of vapour-tight tape or foil to protect the layer of thermal insulation from humidity permeating from the inside of the house.